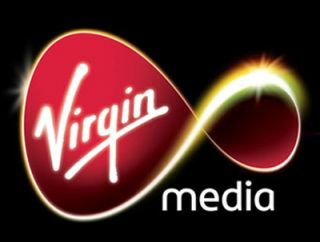 Virgin Media revenue grows, but new TV customer numbers fall | What Hi-Fi? Despite revenue growth of 5.7% to £982m in the first quarter of this year, the number of new customers signing up to Virgin Media's TV service fell by more than 70% year-on-year – to just 10,100. This brings the total number of Virgin TV subscribers to 3.78 million. Of these, more than 1.5 million have high definition – the company added 66,400 new HD customers. Virgin says there has been "strong early interest" in its new TiVo home entertainment system, with 65,000 customers pre-registering for it. Virgin Media's chief financial officer, Eamonn O'Hare, brushed off the significance of low number of new customer additions. "You could look at the 10,000 figure and say 'that's not good', it is rather anaemic, but you need to look under the covers and it is the quality of customer that is the focus," he said. "When you look at the uptake of HD, video-on-demand and high speed broadband services, the quality of customer is ever increasing." Virgin added that there had been 22% year-on-year growth in the first quarter of the number of customers taking its Sky premium suite of channels, taking the total to about 800,000. Overall, Virgin Media added 20,200 customers in the first quarter, a 47% drop on the 38,300 signed up in the same period last year. The company's total subscriber base is 4.82m. As for broadband, 50,100 new customers signed up in the first quarter, with 39% of those taking the 20Mb or higher service.